Why MTJ for Roundabout Engineering? 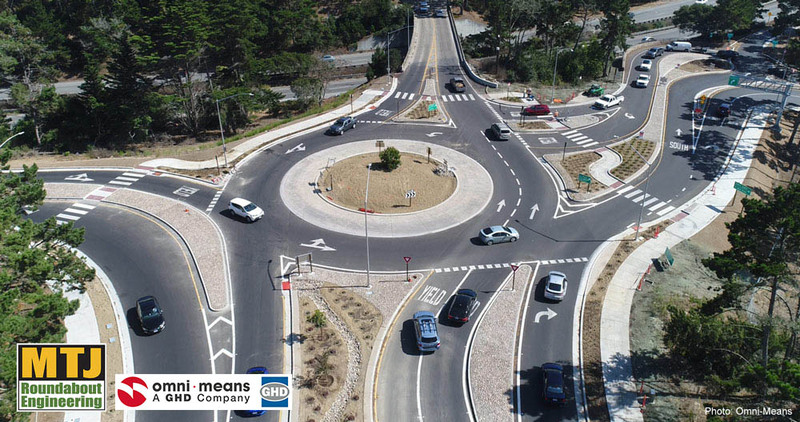 MTJ Roundabout Engineering’s services, experience and qualifications are unparalleled in the analysis, planning and design of modern roundabouts. MTJ Roundabout Engineering’s mission is to provide solutions to complex traffic problems through excellence in roundabout analysis, design, and implementation. MTJ’s designs have proven to maximize optimal safety, driver comprehension and public acceptance once constructed and open to the driving public. This is achieved through adherence to proven design principles, and criteria. MTJ works on project teams as a technical area expert providing roundabout design, peer review and related traffic planning and roadway engineering services to deliver exceptional roundabout projects to communities throughout the US and Canada. Please see our Project Map. Our experience is truly unparalleled in both breadth and depth of experience in modern roundabout applications over the entire range of contexts and implementations. The MTJ team’s experience encompasses all aspects of traffic planning and transportation engineering associated with complex roadway and intersection projects. MTJ has a successful record of providing reliable and safe roundabout design applications that are well-liked by the community, businesses, and elected officials. Our services are focused on balancing competing needs to meet community goals and objectives, leading to the achievement of solutions to problems that others often overlook. This is accomplished by evaluating the entire roadway context to optimize safety and operational opportunities provided by roundabouts for all modes, while also minimizing impacts and maintaining acceptable costs. On our website we share many of our select projects that illustrate our breadth and depth of roundabout applications. These projects encompass a broad range of contexts and decision-making environments and include many award-winning designs. We welcome the opportunity to discuss how we can put MTJ Roundabout Engineering’s experience to work to assist in addressing your roundabout implementation and transportation challenges. Principal Engineer: Mark T. Johnson, P.E. Watch a brief summary of the project. MTJ provided a two roundabout solution for this vital, highly constrained interchange that is the gateway to the greater Monterey Bay area as well as Pebble Beach Golf Resort. Watch workshop highlights on addressing implementation challenges.